I am just a passerby.. 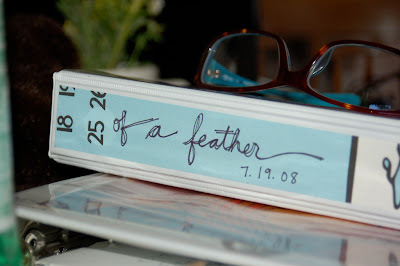 I read your wedding ceremony plan.. of a feather.. made me cry in my office. I am marrying my best friend in 4 months.. and we too are striving to have a low cost but memorable wedding. We have friends and family coming from all over the country for our many walks of life. I love your blog and the constant reminder of what the day is really about, the union of the bride and groom, not the flowers, or kind of wine.